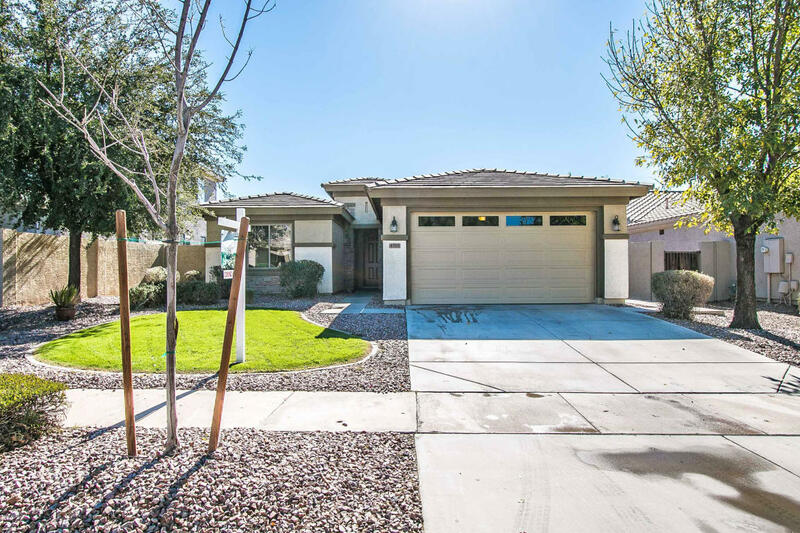 Beautiful home in highly sought after Power Ranch. This 3 bdrm, 2 bath home has a bright open Great Room w/ expansive windows looking out to meticulous backyard. Kitchen is well designed w/lots of cabinets, pantry, farmhouse sink, granite w/travertine backsplash & gas stove. Master is spacious and MB has dual sinks, sep tub/shower, walk-in closet, sep toilet room. Secondary bedrooms are spacious as well. North/south facing w/South facing extended patio, additional seating areas in beautifully landscaped backyard perfect for hosting guests. Addt'l walkway around the house for easy access. 3 car tandem garage is great for autos or additional storage. Enjoy Power Ranch w/2 lakes, clubhouses, 26 miles of trails, 3 pools, farmer's markets & tons of activities.